Although this didn’t work for me because I’ve been self employed since 1987, it might work for you. Many nontrads are working a full-time job. Ask your employer if they have a tuition reimbursement program for undergraduate and graduate degrees. Many companies will pay up to 100% of your tuition costs especially if it will help you in your current job and make you a more valuable employee. Remember, tuitition is only part of the cost of college. You will also need to cover books, lab fees, and “other” fees the college tacks onto your bill. Keep in mind that your company will reimburse you—you will have to come up with the money first. Companies may not pay for a degree that’s completely unrelated to your job. For example, if you work at an insurance company and want to get a degree in Music, it will be a tough sell to convince the company that your degree will improve your performance and add value as an employee. Some companies will base the reimbursement amount on your grades as well. So it pays to get good grades. Other companies may require you to maintain employment with them for a specified number of years after graduation. Be sure to know what your company’s policies are before enrollment so there are no surprises. Cut down on the number of classes you need to take by testing out of them. Developed by the College Board, the CLEP program offers standardized tests that assess college-level knowledge in many subject areas. They are administered by thousands of schools and military organizations throughout the US. The test is 90 minutes long and costs range from $100-$135 but is free for veterans. CLEP Study Guides are available to help you prepare. The CLEP tests are primarily multiple-choice except for essay portions. They are administered on a computer and final results are available immediately. If you pass the test, you receive 3 to 6 college credits for that course. However, you should know that passing scores are determined by your college. Credits are awarded by the college and can take a semester to show up on your transcript. Some colleges may not allow the transfer of credit for every test that CLEP offers. Be sure to check with your school first to see what tests they accept. CLEP offers students the opportunity to demonstrate their proficiency in subject areas and bypass undergraduate coursework. You can earn college credits by taking the equivalent of a course final exam. Check to see if your school offers a Course Challenge and what subjects are available. You may need to get permission from your Advisor to take a Course Challenge. You’ll get a syllabus for the course and have up to 60 days to study before you take the final exam. You can also choose to take the exam in less than 60 days. Flat fee ($200 range) and some schools may charge full cost of course (3 credits times cost per credit). While this won’t save you money, it will save you time to complete your degree. When you pass the exam, you’ll get full credit for that course. It can take a full semester before the credits are awarded and reflected in your transcript. A course that allows students to request credit for college-level learning gained through work, training, military or community service, online classes, and self study. The course is 3 credits and students learn how to document their prior learning to create a “portfolio.” Your portfolio gets submitted to a review committee that awards credits. It can take one semester until credits are transferred to your school. APL programs are often found at community colleges and state schools. The price is the cost of 3 credits and sometimes an assessment fee in the $300 range. I applied for a non-degree grant and had this course paid for by the Vermont Student Assistance Corporation (a private student loan organization). Ask the school if they know of a non-degree grant that can cover the cost of this program for you. I saved $20,564 and 5 semesters of time. Having been through this program, I strongly recommend ONLY taking APL and no other courses at the same time. It’s time consuming to document your learning and get letters of recommendation and the stakes are high. So you really want to focus fully on creating your portfolio and not be distracted by other academic work. You want to stay focused on the APL process because it can yield such a high-payoff in terms of money and time. The process of creating your portfolio begins by writing up what looks like a course syllabus outlining your specific areas of learning. Then find someone who can write a letter attesting to the fact that you know the specific learning outcomes or objectives. You can also include copies of training documents or certificates you’ve been awarded. Just like the Assessment of Prior Learning, but a scaled back version. This is a 1-credit course with a portfolio that documents your prior learning in one specific academic subject. You can earn up to 16 credits in one academic field (credits may vary by college). Portfolios are evaluated much faster than APL and generally take 30 days. While it may seem that scholarships are targeted toward high school students, there are numerous scholarships available for nontrads. Use the keywords: “nontraditional,” “nontrad,” and “delayed entry” “+ Scholarship” to set up individual Google Alerts. 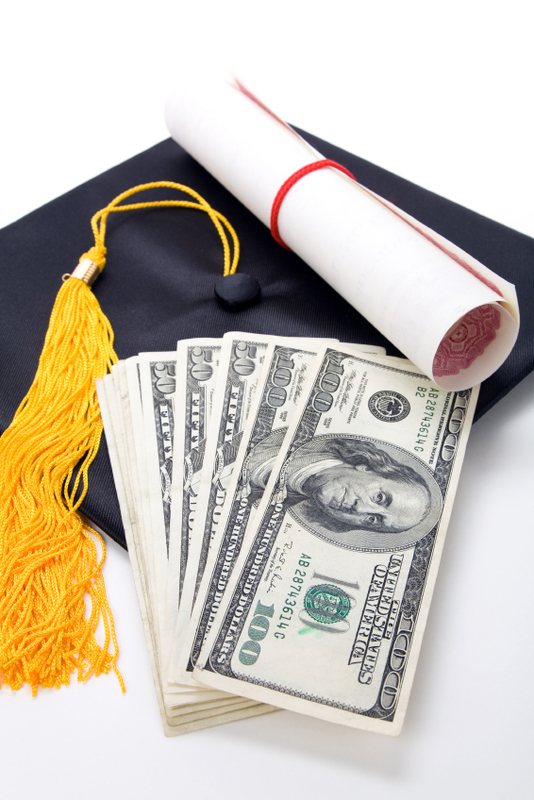 Do you know of other ways nontraditional students can cut college costs? It would be great if you could post a comment to share with other nontrads. This entry was posted in Tips and Tricks and tagged APL, Assessment of Prior Learning, CLEP, College Challenge, how to pay for college, Non-Traditional Students, Nontraditional Students, NonTrads, Prior Learning Assessment, Recognition of Prior Learning, tuition reimbursement by Gyan Baird. Bookmark the permalink.